What exactly goes on inside the human body? 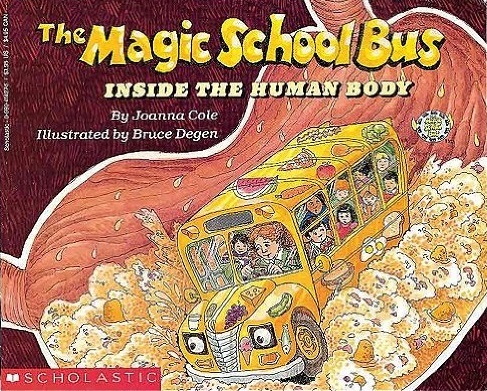 If you asked this question to the children’s book character Ms. Frizzle, she would throw you into her Magic School Bus and take you on a wild ride “Inside the Human Body” to get you up close and personal with the different organs and structures within our bodies. Ms. Frizzle had a wild imagination, but she was on to something with her crazy adventures. Recently, scientists took a page out of one of Ms. Frizzle children’s books and took their own wild ride to check out what’s going on with the human spinal cord. In a paper published yesterday in Neuron, scientists from the Salk Institute in San Diego reported that they were able to watch spinal cord cells walk around the spine of mice in real-time. They used a special microscope that could track and record the movement of motor neurons, an important nerve cell that controls the movement of muscles in your body. What they found when they watched these cells was equivalent to a pot of gold at the end of the rainbow. The scientists not only recorded the activity of these motor neurons, but they identified the other spinal cord cells that these neurons interact and make connections with. One of their most significant findings was a population of spinal cord cells that connected to a subtype of motor neurons to foster important muscle movements like walking. Understanding how the different cells of the spinal cord work together is very important because it will allow scientists and doctors to figure out better ways to treat patients with spinal cord injuries or neurodegenerative diseases, like ALS, that affect motor neurons. Using optical methods to be able to watch neuron activity has been a dream over the past decade. Now, it’s one of those rare times when the technology is actually coming together to show you things you hadn’t been able to see before. 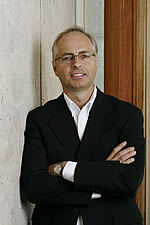 You don’t need to do any kind of post-image processing to interpret this. These are just raw signals you can see through the eyepiece of a microscope. It’s really a jaw-dropping kind of visualization for a neuroscientist. While this study doesn’t provide a direct avenue for therapeutic development, it does pave the way for a better understanding of the normal, healthy processes that go on in the human spine. Having more knowledge of “what is right” will help scientists to develop better strategies to fix “what is wrong” in spinal cord injuries and diseases like ALS. I just read that Magic School Bus with my daughter two nights ago. How did you know? Ms. Frizzle told me! Glad someone appreciated the reference!